As the automotive industry has evolved and advanced over the years, so have the priorities and desires of consumers as they search for new automobiles. Among their changing demands, many car shoppers, including Mid-Michigan drivers, now want something beyond the latest technologies and luxury amenities; they want an eco-friendly automobile. Ever at the ready and ever at the cutting edge, Honda has complied with the green desires of its customers by providing exceptional hybrid and alternative fuel vehicles that boast both eco-conscious efficiency and some of the very latest comforts and features the auto industry has to offer. 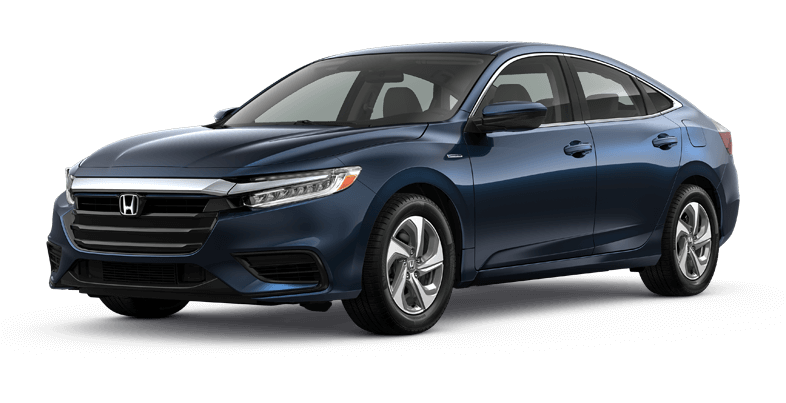 Honda is calling this model the “no-compromise hybrid” because it simply refuses to make sacrifices from power and efficiency to standard features and safety technologies the 2019 Honda Accord Hybrid does not make any concessions. It’s all about teamwork under the hood as the Honda Accord Hybrid manages a lithium-ion battery, in-line 4-cylinder engine, and AC synchronous permanent magnet electric motor to produce 212 total system horsepower at 6200 rpm. * Needless to say, quick acceleration will never be an issue. 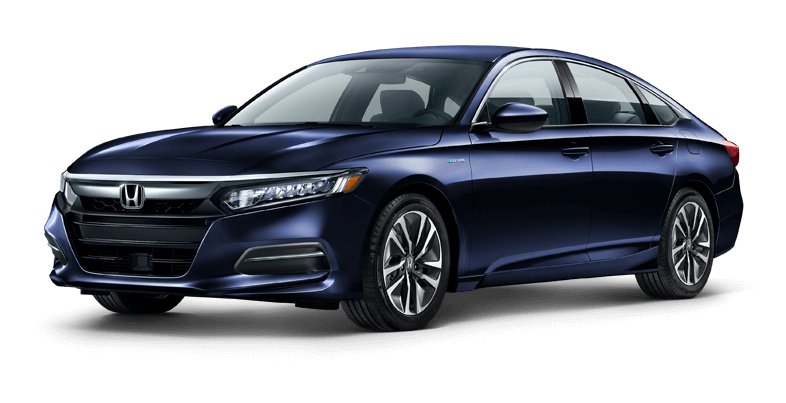 At the end of the day, this Honda hybrid still bares the legendary Accord name, which means high-quality craftsmanship, reliable performance, and outstanding value retention. As it was previously mentioned, the 2019 Accord Hybrid refuses to compromise, so even the base model includes features like deceleration selectors, auto high-beam headlights, 60/40 split fold-down rear seats, 16.7 cu ft of trunk space, and the Honda Sensing® suite of driver-assistive technologies. With the flexibility to use electricity and/or gasoline, the 2019 Honda Clarity Plug-In Hybrid is bringing its eco-friendly style to all 50 states. It joins the Clarity Fuel Cell and Clarity Electric (limited availability) to complete Honda’s series of alternative fuel options. The Clarity Plug-In Hybrid offers drivers a premium-equipped sedan that doesn’t compromise performance or comfort for driving range–it has it all. The 2019 Honda Clarity Plug-In Hybrid offers premium standard features for drivers to utilize. Safety features take the form of driver-assistive technologies, which includes the Honda Sensing® suite, LED exterior lighting, and more. Entertainment and convenience is offered through an 8-inch Display Audio touchscreen interface with Apple CarPlay™ and Android Auto™ integration, Smart Entry with push-button start, and a wealth of other features. Opting for the Touring trim adds even more premium features. The 2019 Honda Clarity Electric sedan may only be currently available for lease to drivers in California and Oregon, but it offers a view of what Honda is capable of, as well as their overall vision of vehicles to come. Not to be mistaken for its Clarity siblings (Plug-In Hybrid and Fuel Cell), the electric model features an unforgettable light signature with LED headlights and LED taillights, a low profile, and an exclusive 18-inch wheel design. However, its cabin offers the same characteristics found on board the other Clarity models when it comes to comfort, safety, interior space, and entertainment tech. This means features like the Honda Sensing® suite, Display Audio with Apple CarPlay™ and Android Auto™ integration, dual-zone automatic climate control, and heated leather seats all come standard equipped. With their ground-breaking Clarity Fuel Cell, Honda is inaugurating the next generation of sustainable automobiles. Only available in select markets, the hydrogen-powered Clarity allows drivers to experience the freedom of the road like never before. 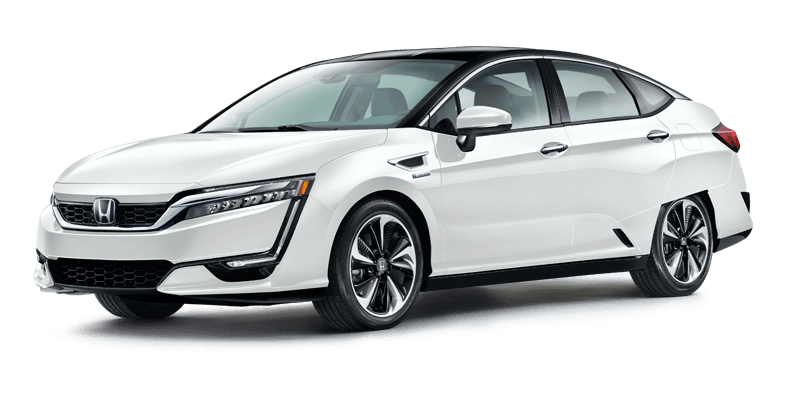 The 2018 Honda Clarity Fuel Cell can be charged to 100% in just three to five minutes, and once you’re done charging, you’ll be able to drive up to an EPA-estimated 366 miles without producing any dangerous emissions. * Many once thought that cars with non-traditional fuel sources would limit drivers’ capabilities on the road, but the Clarity Fuel Cell is putting an end to that myth once and for all. 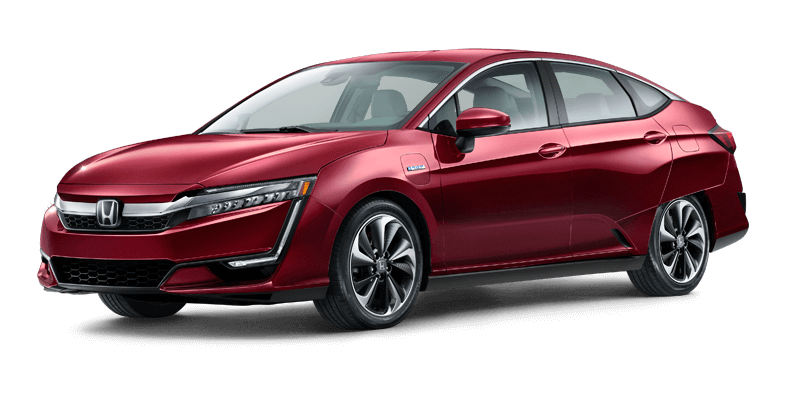 The 2018 Honda Clarity Fuel Cell is equipped with ultra-light, aerodynamic frames and advanced technology inside the cabin. Notable features on board the Clarity Fuel Cell include a Head-Up Display that projects important information straight onto your windshield, as well as an ionized-air purifier known as the Plasmacluster. The 2019 Honda Insight is the answer for drivers that desire the efficiency of a hybrid car, but don’t want the distinct, stand out styling that comes with most hybrid cars currently on the market. This all-new Insight aims to offer fuel efficiency that will be competitive against even the best in its segment. The sleek, sedan design of the 2019 Insight Hybrid is aimed for universal appeal, situating itself as a premium compact passenger car above the Civic within Honda’s lineup. In addition to offering an outstanding, EPA-estimated 55 city, 49 highway, and 52 combined mpg,* Insight delivers class-leading passenger space and power. Standard and available premium features come in the form of leather seating, an 8-inch Display Audio touchscreen with Apple CarPlay™ and Android Auto™ integration, Honda LaneWatch™, the Honda Sensing™ suite of safety and driver-assistive technologies, and much more. The 1999 Honda Insight became America’s first hybrid vehicle–10 years later, the 2019 Honda Insight is looking to make history again by redefining what drivers can expect from affordable hybrid cars. Honda has a reputation for developing some of the most efficient vehicles of the past 40 years, so of course they were one of the first automakers to develop a hybrid hatchback and bring it to the drivers of Central Michigan in 1999. The Insight was the first hybrid to be sold on U.S. soil, debuting a full seven months before the Toyota Prius. While Honda’s hybrid hatchback gained its fair share of fans, it was only a matter of time before hybrid powertrains found their way onto Honda’s already efficient lineup of vehicles. The Insight was joined by a Civic Hybrid in 2002 for the 2003 model year, with the Accord Hybrid first hitting the streets in 2004 and running from 2005-2007. Honda returned to the drawing board shortly after 2007 and began rethinking their hybrids for the changing auto market, and in 2009 the second-generation Insight hit the streets to critical acclaim. While the Civic and Accord Hybrid models would again return, they would be joined by a truly unique vehicle: the Honda CR-Z hybrid sports car. With these four vehicles and the addition of the Accord Plug-in Hybrid for the 2014 model year, Honda established themselves as an automaker with one of the most diverse selections of hybrid vehicles available, giving you plenty of options when it comes to being a fuel-conscious driver. Most drivers have accepted the reality that fuel prices are likely never going to drop back down to what they were even a few years ago, and that means many people are shopping around for hybrids. The Honda hybrid car lineup is one of the most interesting and diverse in Michigan, giving drivers like you access to fuel-efficient powertrains in a wide variety of vehicles—even a sports car. Total system horsepower as measured by the peak, concurrent output of the two electric motors and gasoline engine. 48 city/48 highway/48 combined mpg rating. Based on 2019 EPA mileage ratings. Use for comparison purposes only. Your mileage will vary depending on driving conditions, how you drive and maintain your vehicle, battery-pack age/condition and other factors. 110 combined miles per gallon of gasoline-equivalent (MPGe) electric rating; 44 city/40 highway/42 combined MPG gasoline only rating. 47-mile maximum EV mode driving range rating. 340-mile combined gas-electric driving range rating. Based on 2019 EPA ratings. Use for comparison purposes only. Your MPGe/MPG and driving range will vary depending on driving conditions, how you drive and maintain your vehicle, battery-pack age/condition and other factors. Based on 2019 EPA mileage ratings. Your range will vary depending on driving conditions, how you drive and maintain your vehicle, battery-pack age/condition, and other factors. For additional information about EPA ratings, visit http://www.fueleconomy.gov/feg/label/learn-more-electric-label.shtml. Based on 2018 EPA range rating. Use for comparison purposes only. Your range will vary based on how you drive and maintain your vehicle, driving conditions, powertrain condition and other factors. 55 city/49 highway/52 combined mpg rating for LX and EX trims. 51 city/45 highway/48 combined mpg rating for the Touring trim. Based on 2019 EPA mileage ratings. Use for comparison purposes only. Your mileage will vary depending on driving conditions, how you drive and maintain your vehicle, battery-pack age/condition and other factors.